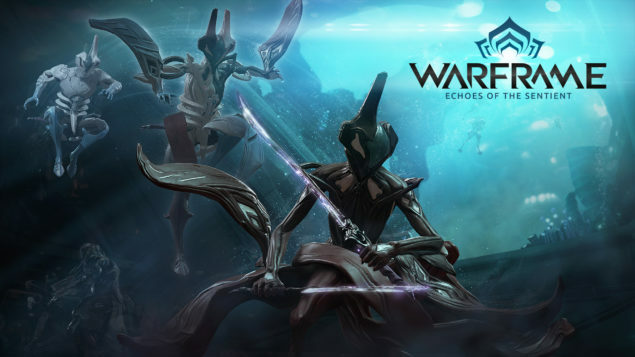 Digital Extremes released Echoes of the Sentient, a new update for Warframe The new update offers PC players new gameplay, environments and customizations. There is so much to explore in this massive, new update. Move through the Solar System in an entirely new way with a completely overhauled Parkour system. Visit an underwater world with Archwing levels. Go on a Quest for the new Equinox Warframe and discover the best of both worlds. Experience an abundance of new Conclave additions, Weapons, Mods and more. Split between day and night, Equinox manifests aggressive and defensive forms at will. Experience a complete overhaul to movement in the game. Changes include the addition of Double Jump, Bullet Jump, Wall Latch, Wall Dash and Aim Gliding. Explore new depths in the oceans of Uranus, smoothly transitioning from on-foot to submersible Archwing mode! Encounter new and deadly Grineer enemies in unique environments and enjoy various game modes including Defense, Survival, Capture, Rescue, Mobile Defense, Exterminate, and Sabotage! Tyl Regor is back and is stronger than ever. Assassinate this skilled threat amidst the oceans of Titania, Uranus! Is the strange drone scanning Tenno just an upgraded piece of Corpus technology or are there more sinister things stirring in the Origin System? Delve into the depths of the Grineer Ocean with a new underwater Tileset. Daily Challenges: Earn additional Standing with Teshin’s Conclave by completing Daily Challenges. New Conclave Maps: Apex (Annihilation/Team Annihilation), The Spire (Capture the Cephalon) and The Pit (Annihilation/Team Annihilation) are now available! Conclave Mods: Purchase 19 new Conclave Mods through Standing from Teshin. Ack and Brunt: Tyl Regor’s custom axe and shield are how he likes to eliminate ‘frustrations’. Grattler: Shatter your targets with explosive shells from this devastating Archwing canon. Harpak: Spike enemies to the wall or reel them in with this automatic harpoon gun. Kulstar: Rain hell on the enemy with this handheld cluster-rocket launcher. Twin Grakatas: When one Grakata isn’t enough, bring another for extra firepower. Kubrow Armor: Outfit your Kubrow with new Rostam and Valinn Decorative Armor. Chesa Kubrow: Trained to retrieve valuable resources for its master. Give your Warframe a new look with four new Capes, now available in the Market! Izvara: The exclusive garment of Tenno chosen to protect the Orokin Council of Executors. Nelumbo: Worn to honor the Lotus. Udyat: A flowing ribbon of silken fabric, crowned with a star. Vanquished Banner: Add insult to injury by mocking the Grineer with their own banner. Prepping your Mod Build just got easier! The new Exilus Utility Slot frees up space by offering a place for a Utility Mod. PC players can download Echoes of the Sentient today! PlayStation 4 and Xbox One players will receive this Update in coming weeks. We will bring you any new information on Warframe as soon as it becomes available.